Dear Candidates, Telangana State-Northern Power Distribution Company Limited Publish notification of Direct Recruitment on 107 Junior Accounts Officer Post. TSNPDCL Recruitment 2018 online registration has started from 16 June 2018. Eligibility criteria, age Limit and Selection Process details are given below for TSNPDCL Vacancy 2018. 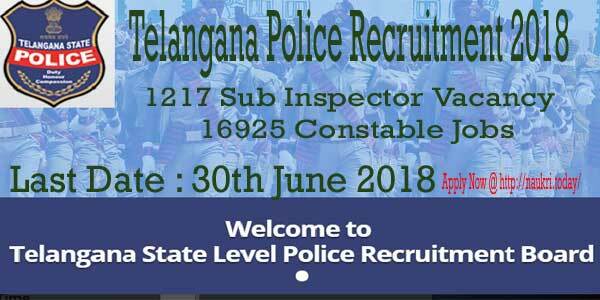 Candidates can register up to 30.06.2018 for Telangana SNPDCL Jobs 2018. Participants may download their TSNPDCL Notification 2018 either from here or from links given below. TSNPDCL JAO Recruitment 2018 is available for 107 Junior Accounts Officer Post. TSNPDCL should conduct written exam on 22.07.2018. Applicants must prepare hard for Telangana NPDCL Exam 2018. Here we gave you complete details regarding TSNPDCL Jobs 2018. Eligible Candidates can apply online from links given here for Telangana SNPDCL Vacancy 2018. Telangana State-Northern Power Distribution Company Limited has issued notification for fill up 107 Junior Accounts Officer Post. Candidates must check here brief details about TSNPDCL JAO Vacancy 2018 given below. Applicants can download TSNPDCL Recruitment 2018 notification from Links given below. Candidates should check here required qualification, age limit and Pay Scale for TSNPDCL Jobs 2018. Participants will enter their all details correctly in the Application Form otherwise their forms will be rejected. Applicants must download their TSNPDCL Notification 2018 either from the official website or from links given below. Applicants who applied for TSNPDCL JAO Recruitment 2018 must complete their B.Com 1st class or M.Com 1st Class from any recognized university of India. Applicants may also have CA/ICWA-inter from the University of India. For further details, aspirants must check Official Telangana NPDCL Notification 2018 from links given below. Minimum age is 18 years and Maximum age is 44 years for TSNPDCL Bharti 2018. For Upper age relaxation details, candidates must Consult to Official Telangana NPDCL Notification 2018. Participants should download Official Notification of TSNPDCL Recruitment 2018. Telangana NPDCL set a particular salary for selected candidates. Pay Scale for TSNPDCL Recruitment 2018 is Rs. 34630-1425-36055-1700-44555-1985-54480-2280-56760. For furthermore details aspirants should read official TSNPDCL JAO Notification carefully and download it. Participants need to pay Rs. 100 /- as an Application Processing Fee and Rs. 120 /- as an Examination Fee. The Total amount candidates need to pay is Rs. 220 /-. SC/ST Category Aspirants need not pay any Application Fee. they are exempted from payment of examination Fee. Participants will download Telangana NPDCL Notification from Links given below. Selection of Candidates should be done on the basis of written exam. written Exam will be held at different centers of Telangana. Participants must be prepared hard to grab TSNPDCL Junior Accounts Officer Jobs 2018. Candidates must download Telangana NPDCL JAO Jobs 2018 notification either from the official website or from links given below. Participants who are interested in government jobs must apply for TSNPDCL Recruitment 2018. Applicants can apply from links given below. Candidates should make their Payment through Online Mode. Candidates should follow these steps to easily download TSNPDCL JAO Notification 2018. Firstly Candidates should log on to Official website i.e. tsnpdcl.cgg.gov.in. Applicants may search for Recruitment Section at Homepage. Candidates should read all the details carefully from TSNPDCL JAO Bharti 2018.. Participants may check eligibility criteria, age limit and selection Process for TSNPDCL Vacancy 2018. Eligible candidates should apply to links given below. Aspirants should enter all the details correctly in an application form. Participants must note down ID Password and Registration Number for Features use. After filling up all the details candidates should submit their application fee. Conclusion: Telangana State-Northern Power Distribution Company Limited ha announced 107 Junior Accounts Officer Vacancy. Participants should check here eligibility criteria,age limit and pay scale for TSNPDCL Recruitment 2018. Candidates can apply Online from 16.06.2018 till 30.06.2018. Hello Candidates, Are you looking for TSNPDCL Recruitment 2018? Northern Power Distribution Company of Telangana Limited has released a notification of 497 Sub Engineer Vacancy 2018. 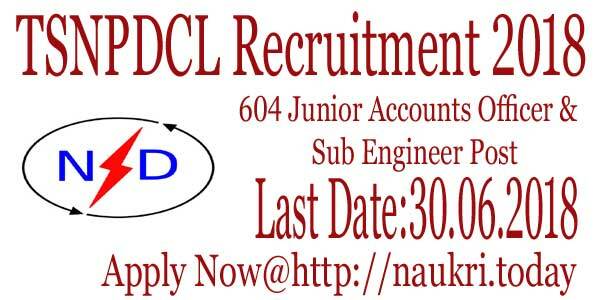 Eligible candidates can fill online Application Form For TSNPDCL Sub Engineer Recruitment 2018. Online Registration is going to start from 05.06.2018. Candidates can submit filled Application Forms till the last Date i.e 18.06.2018. Candidates are required to check the Eligibility Criteria & Selection Process from the given article below. Name of Organization : Northern Power Distribution Company of Telangana Limited (TSNPDCL). Before applying for TSNPDCL Recruitment 2018 candidates must check the Eligibility Criteria. Candidates who are cross the Eligibility Criteria can apply for Telangana State NPDCL Sub Engineer Bharti 2018. Eligibility Criteria Contains the Information regarding Minimum Qualification & Age Criteria which required for TSNPDCL. Candidates must possess Diploma or Graduation in Electrical Engineering Field or any other equivalent qualification from recognized University. For more information candidates can check Telangana State NPDCL SE Job 2018. Candidates must have minimum age 18 year old for TSNPDCL Vacancy 2018 as on 01.01.2018. Maximum age should be more than 44 year old for Telangana Sate NPDCL SE Recruitment 2018. The Department will be offering a relaxation to upper age limit which is divided according to a category as mentioned below. Candidates who belong to General & OBC category their TSNPDCL Bharti 2018 Application Fees will be Rs 120/-. For SC/ST belonging category candidates their Application Fees is exempted for Telangana State NPDCL Job 2018. Applicants can pay Telangana State NPDCL SE Recruitment 018 Application Fees through Online Mode. Selection of candidates who are applying for For TSNPDCL Recruitment 2018 will be based on Written Examination. By observing the performance of candidates for Telengana State NPDCL Bharti 2018 Department will be preparing a Final Merit List. For more details candidates can check the TSNPDCL Sub Engineer Vacancy 2018 Official Links given below. TSNPDCL Department will be offering a good amount of salary who got selected for For TSNPDCL Jobs 2018. Candidates will get pay scale of Rs 20535-865-23130-1160-28930-1425-36055-1700-41155 per month for Telangana NPDCL Bharti 2018. Candidates who are filling online Application Form for TSNPDCL Sub Engineer Job 2018 can check simple steps from here. Our team is providing you easy steps from which you will able to fill Online Application Form for Telangana State NPDCL Bharti 2018 easily. At Homepage, candidates are required to search for TSNPDCL Sub Engineer Bharti 2018 Notification. Click on it & Read the Telangana State NPDCL SE Job 2018 Carefully. Fill up the required information i.e DOB, Postal Address etc in TSNPDCL Vacancy 2018 Application Form. Applicants are required to recheck the Telangana State NPDCL SE Recruitment 2018 Application Form once again. Take out the print of TSNPDCL Sub Engineer Jobs 2018 Application Form for future use. Conclusion : TSNPDCL Recruitment 2018 Notification has been announced by Northern Power Distribution Company of Telangana Limited. There are 497 Sub Engineer Vacancies available for TSNPDCL Sub Engineer Bharti 2018. Eligible candidates can fill Application Forms before last Date i.e 18 June 2018 till 11:59 PM. Telangana State Northern Power Distribution Company Limited has issued advertisement for 2553 JLM jobs. TSNPDCL Recruitment Notification is released for filling up Junior Lineman vacancies. Applicants who want to apply can fill online form. TSNPDCL JLM Jobs Online Form is available from 22.02.2018. Desired and eligible candidates must fill the application form before on 19.03.2018. TSNPDCL Vacancy for Jr. Lineman examination will going to conduct on April month. Northern Power Distribution Company of Telangana Ltd. invites online application form for recruitment of 2553 Junior Lineman vacancies. Here you can collect all details of TSNPDCL Notification For JLM Vacancy. The online registration is starts from 22.02.2018 and ended on 19.03.2018. Applicants will also collect hall ticket on or after 02.04.2018. TSNPDCL Junior Lineman Recruitment Examination will going to held on 08.04.2018. Before apply you should read given below details carefully. Latest News as on 22.02.2018 : Dear Applicants link for payment application fees for TSNPDCL JLM vacancies has started now. 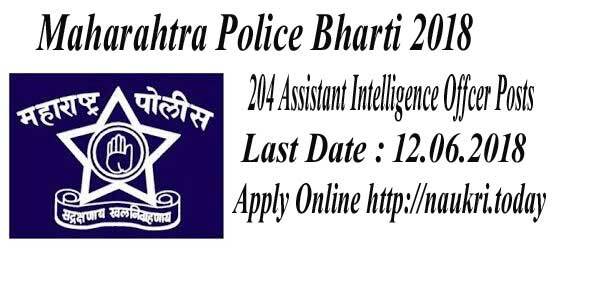 Interested candidates can application form here till last date. Check Now. Name of the Organization : Northern Power Distribution Company Telangana Ltd.
Before going to apply online for Telangana State NPDCL Jobs, you should require to check eligibility conditions. Applicants should ensure that they are eligible or not for TSNPDCL Recruitment. You must check given below education qualification, age limit and other details. Interested applicants must posses 10th /SSC/SSLC with ITI qualification in Electrical Trade /wireman are eligible for TSNPDCL Jobs. Or Applicants who have 02 years Intermediate Vocational Course in Electrical trade from recognized university or board. You should check TSNPDCL Notification furthermore information. Candidates minimum age require for TSNPDCL Junior Lineman Jobs is 18 years. Participants should not be more than 38 years as on 01.01.2018. Age Relaxation is applicable for SC/ST/BC candidates and it should be 05 years. Furthermore check TSNPDCL Recruitment Notification carefully. Other all details clearly mention in the advertisement. Participants selection criteria is decided by the Telangana State government. You can select on the basis of performance in written examination. There will be no interview. TSNPDCL JLM Vacancy more information collect from given below section. Each Applicants must Pay Rs. 100/- as a online processing fees. Fees should be paid through online mode. General candidates are also require to pay Rs. 120/- towards examination fees. SC/ST/BC are not need to pay examination fees. Further details regarding how to make payment check given below section or TSNPDCL Job Notification. Desired applicants who fulfill given above eligibility criteria may apply through online mode. Applicants also can follow some given below steps if they have problem to apply online for TSNPDCL Vacancy. Applicants should log on to official portal tsnpdcl.cgg.gov.in. View user guide and details notification carefully. Make payment For TSNPDCL JLM Jobs. Fill the require details and then click on submit application button. Then again go to given above site and enter your journal number and date. Upload scanned passport size photograph and signature. Fill relevant fields in the TSNPDCL Recruitment Application Form. Submit application form and then collect acknowledge number. Take hard copy of it for future uses. You can also apply for Telangana State NDPCL Jr. Lineman Recruitment through given below direct link. Conclusion : Northern Power Distribution Company of Telangana Ltd. has announced advt. for 2553 Junior Lineman vacancies. Apply Online for TSNPDCL Recruitment 2018 from here or official site from 22.02.2018 to 19.03.2018. The Examination will going to held on 08.04.2018. Given above section all details available of TSNPDCL JLM Recruitment.